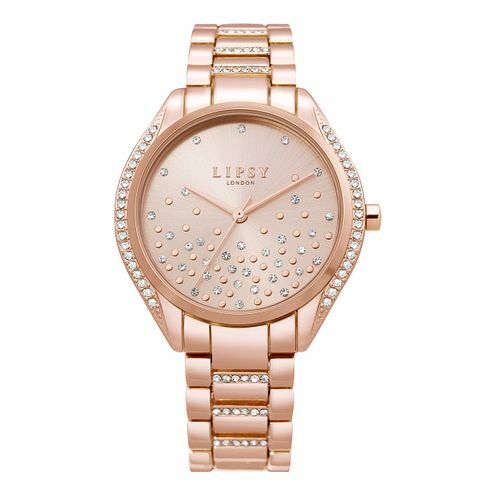 This stylish Lipsy ladies' watch features a rose gold shade dial, complimented with a scattering of sparkling stones. A rose gold tone bezel also features shimmering stones, complete with a co-ordinating bracelet. Everyday glitz to make a stylish impact.